They’re starting to pump out the “Shadow Inventory”. Bank of America alone is releasing 500 homes a month. Fannie Mae is letting them out as well, and making them “owner occupied only offers will be considered for the first 15 days”. 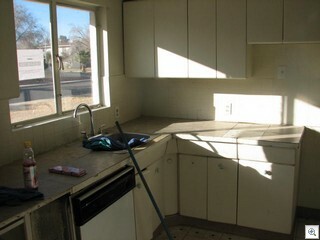 Of course, they don’t all qualify for FHA which how most “owner occupied” buyers are able to buy. But check out this one that came up on 15th Street the other day. 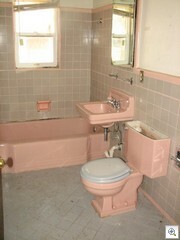 It’s got a very cool fireplace, original metal cabinets, big picture windows and an original pink bathroom. I was there the day they were cleaning and hauling. I had an amusing conversation with the guys that were doing the “clean out”. 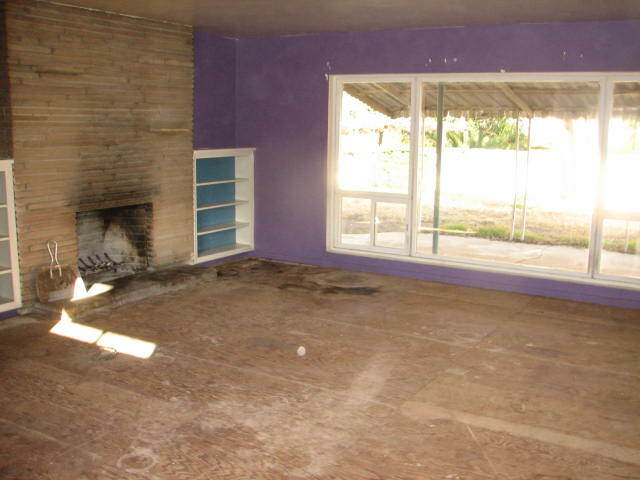 They’d never done one before on a Vintage House. They actually thought that it was a tear down, and couldn’t believe that I thought this a very restorable home. 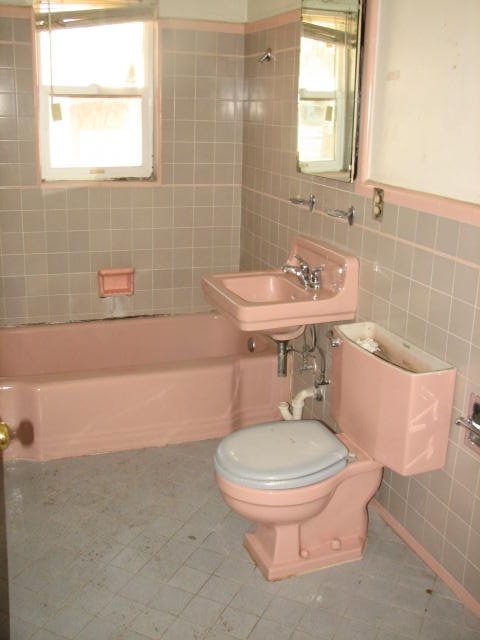 Of course, it’s listed at $57,500. 1500 sf. 3 bedrooms, 2 baths. Fannie Mae is offering them with “Homepath Renovation Financing”. You can borrow the purchase price AND the fix up money with as little as 3% down. I’m just starting on the first of these, so I’ll know soon enough if it’s worth the extra steps. I mentioned above that this house, like so many in this price range aren’t eligible for FHA loans. That’s because on an FHA loan, the house has to be “livable”. It can be ugly, but it has to be livable. 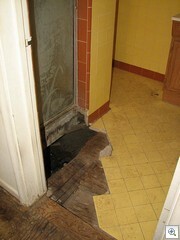 Besides the missing flooring, and broken glass. This is why it’s not eligible for FHA. Is the fixup money holding you back? 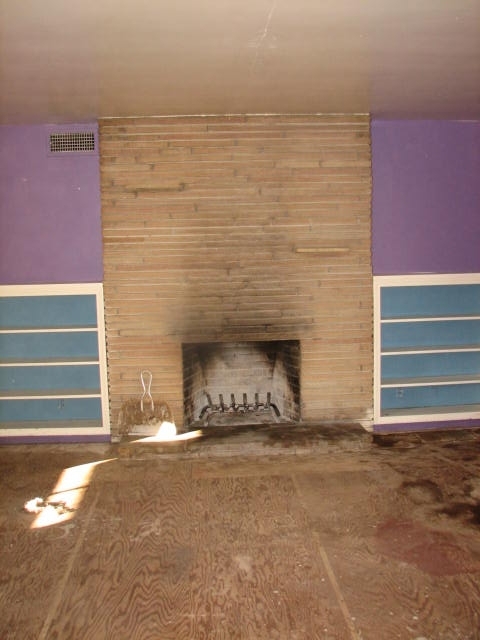 Maybe it’s time to explore this new homepath option. Give me a call. Let’s talk about it.